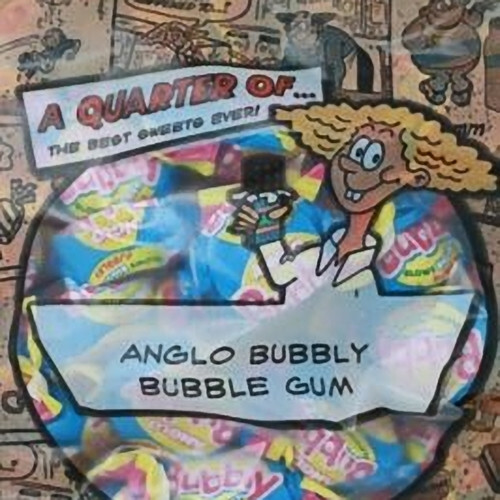 Anglo Bubbly bubble gum... What a classic! If you're a child of the 70s and 80s this old fashioned gum will get your nostalgic juices flowing (or should we say gushing!) - it really is THE retro gum. This is one of the sweets that makes people glaze over as they remember filling their little white paper bags. 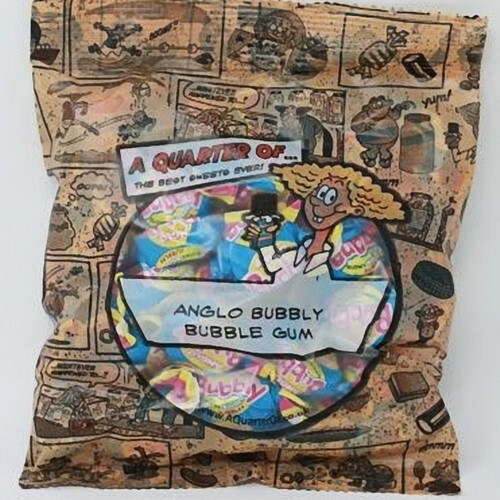 Later in the 80s came the American inspired invasion... with gums like Hubba Bubba, Bubblicious and Bubbleyum. 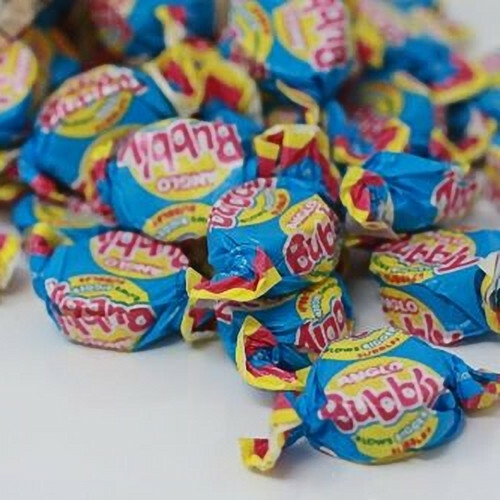 But while they were good for bubble blowing and chewing, none of their flavours came close to comparing with Anglo Bubbly. 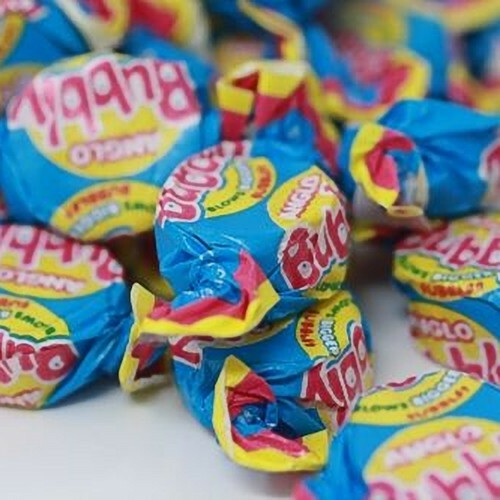 But did you realise what the Anglo bubble gum flavour is? Would you believe... it's pear! 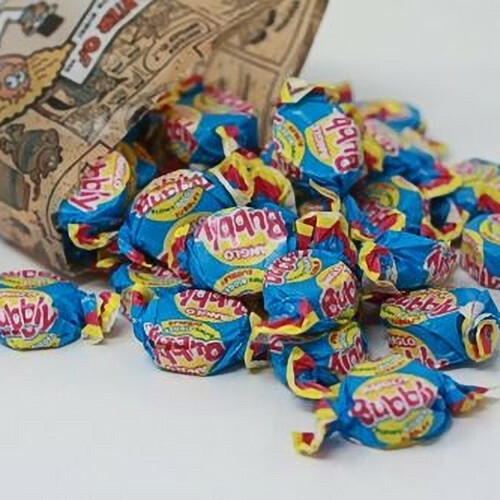 Here at A Quarter Of we're massive fans of Anglo Bubbly - in our humble opinion, it is the king of bubblegum sweets!